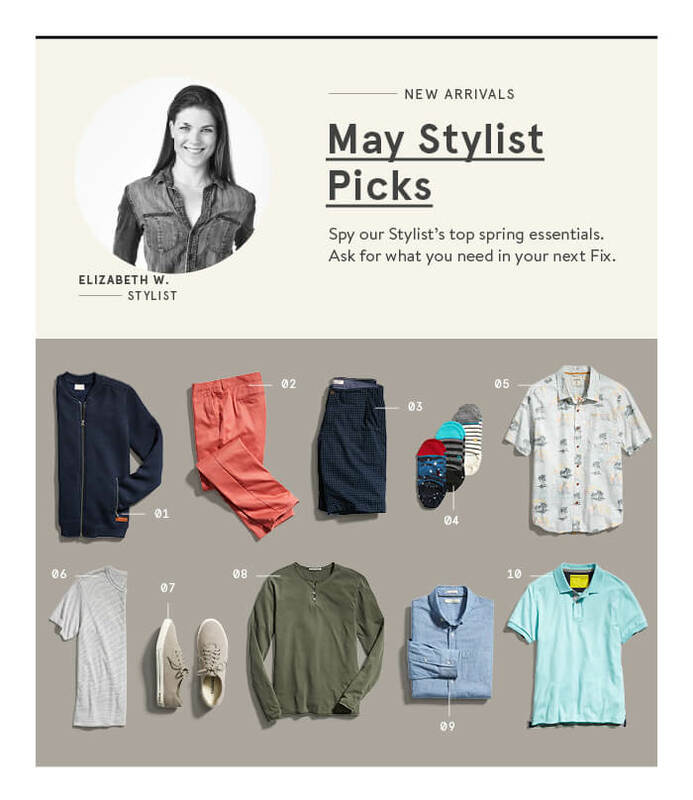 May is here, and by now you know the drill: it’s time for our Stylist’s Picks for the month. With spring hanging in the air and summer days fast approaching, Stylist Elizabeth W. is rounding up her top 10 essentials to help you handle the seasonal switch. If you’re digging anything featured, just request similar styles in your next Fix. Like any of the styles shown? Ask your Stylist to add similar items to your next Fix.